Aberdeen distillers, Raven Spirits are celebrating a phenomenal win at the eminent San Francisco World Spirits Competition, one of the biggest and most coveted global spirits contests. 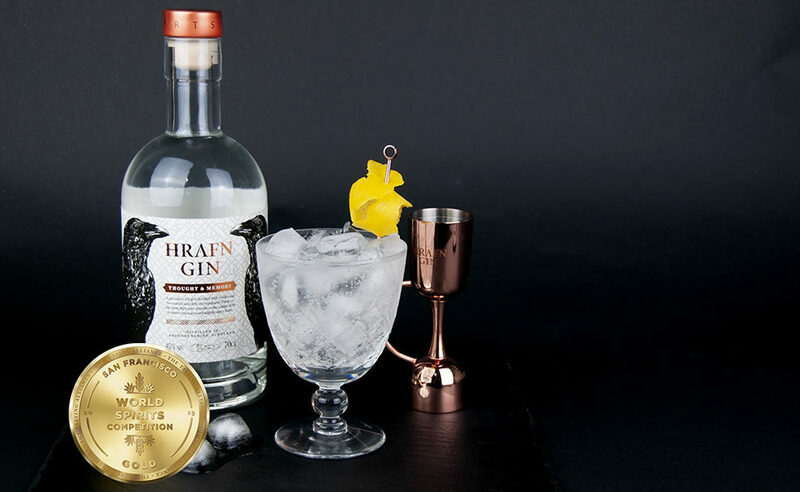 Their Hrafn Gin (pronounced ‘Ra-Vn‘ the Old Norse word for ‘Raven’) impressed the judges so much that they awarded it with a gold medal. At the influential San Francisco World Spirits Competition, Gold Medals are awarded to ‘exceptional spirits that are near the pinnacle of achievement and set the standard for their categories’ and are recognised worldwide as a symbol of quality. The gold medals are awarded to a select few gins globally. Hrafn Gin ‘Thought & Memory’, was launched in 2018 by brothers Callum and Peter Sim of Raven Spirits Ltd, and has enjoyed amazing success in that short time. The gin is crafted using traditional botanicals with delicate mandarin, creating a fresh, smooth drink with warm slightly spicy notes. We’re thrilled for Callum, Peter and the team at Raven Spirits for this well-deserved award – congratulations!